This year’s Melbourne International Film Festival (MIFF) presents two program streams for a youth audience. MIFF Kids is a program of films for all ages at family-friendly times on the weekends. MIFF Schools brings together an array of high quality, diverse and age appropriate films in languages most commonly taught in Victorian schools. Here is what’s on offer for kids and teens in 2017. Directed by Pixar alumni director Ash Brannon and based on a graphic novel by Chinese rock star Zheng Jun, Rock Dog is a light-hearted family adventure film about a Tibetan mastiff who leaves the mountains for the big city to seek out his musical destiny. At this special premiere screening, kids can walk the red carpet and join the party with delicious Cobs popcorn and fun festivities. This beloved classic turns 25 this year! A shining light in the Disney animation renaissance of the early 1990s, as well as a showcase for the magnificent Robin Williams that ushered in the age of the superstar animated voice cast, Aladdin is a joyous experience for the whole family that, as the Oscar and Grammy-winning song goes, is shining, shimmering splendid. Kokone, a teenage girl living in 2020 Tokyo, spends most of her time sleeping, dreaming that she’s a princess named Ancien. Wielding a powerful magic computer tablet, she lives in a steampunk fantasy world that is being threatened by giant robots known as Engineheads. But when Kokone’s father is kidnapped in the real world, she must use the skills from her dreams to rescue him. Fantasy collides with reality as she gets closer to both her father and the family secrets that have been hidden from her for years. Young cancer patient Leo is stuck in hospital for chemotherapy treatment, bored and frustrated until he discovers he’s developed an extraordinary ability: his spirit can leave his body at will, roaming and exploring the city. Meanwhile, a supervillain is holding New York City to ransom, threatening to destroy the city’s infrastructure with a deadly computer virus. When a cop named Alex fails to take down the villain on his own, he discovers that Leo may be the only one able to help. Michel Ocelot, the modern master of French animation, delivers another fantastical kaleidoscope of imagery and invention with Ivan Tsarevitch and the Changing Princess. In a forgotten cinema in Paris, a projectionist and his two young assistants are bringing stories of old to life on the screen. In one, a young girl fights back against the monsters who terrorise her community. In another, a cabin boy on a pirate ship and a cat join forces, while in yet another a young sorcerer gains great power, but at a terrible cost. Finally, a Russian prince must go on an elaborate quest to save his father, only to fall in love. For 10-year-old Zhu – nickname: Stonehead – a brand new soccer ball is the most incredible gift he’s ever received. He wants to keep it untouched until he can play with his Dad, who has been away for months. After his best friend Pouchy lets the rest of the class know about Stonehead’s prize, he’s forced to share it with them. When the ball goes flat, suspicion immediately falls on Pouchy and it’s up to Stonehead to make everything right. Stonehead is a tender and gently wrought exploration of the plight of China’s ‘left behind’ kids – the estimated 60 million children who live with their grandparents in remote, impoverished villages while their parents move to the city to find work. From rising star of Indonesian cinema Pritagita Arianegara comes Salawaku, an eye-opening and heart-stirring road movie set in a stretch of the world where roads barely exist. In a secluded village in Indonesia’s beautiful Maluku Islands, 10-year-old Salawaku’s older sister has gone. Salawaku takes it upon himself to find her and sets off on a grand journey into the wild heart of his country. Joined in his travels by the son of the village chief and a tourist from Jakarta carrying her own heavy burden, Salawaku will learn to see his sister in a new light after discovering that the world of adults is more complicated than it seems. Charismatic 12-year-old Jeffrey lives in the slums of Santo Domingo, where he washes windshields at an intersection to help his family of nine make ends meet. Precocious and pragmatic, he nevertheless chases his musical dreams with a passion, cutting a track with his older brother in pursuit of fame. This debut feature from Dominican director Yanillys Pérez is a charming, heartwarming portrait of youthful drive and resilience that doesn’t shy from exploring its subject’s harsh realities. Hazuki and Aoi are classmates but their relationship outside class is fraught, and outside school non-existent. When both girls are drawn to helping an elderly woman, they’re forced to interact, confronting their differences and similarities as well as their deepest secrets. Featuring fine-tuned performances by stars-in-the-making Minori Hagiwara and Sayu Kubota and engaging, relatable central characters, Hello, Goodbye probes not only the hierarchies that dictate high-school life, but also the repercussions that echo beyond the classroom. In the underprivileged Parisian bainlieue of Aulnay-sous-Bois, a diverse group of teenagers wrestle with familiar questions of what it means to leave childhood behind: love, identity, ambition, friendship, faith and family. But life can be hard in the suburbs of Paris and for these remarkable, ordinary teens, a reckoning with the future is something that brings with it both hope and fear. Swagger is their story, in their own words. It’s also a bold, genre-bending documentary from former music video director Olivier Babinet, with a score by Air’s Jean-Benoît Dunckel. It’s summer in 1988 and 12-year-old Socrates is spending his days riding bikes around his tiny village in Cyprus and setting off makeshift firecrackers with his cousin and best friend, Marcos. But a dark shadow is being cast over their Mediterranean idyll by Marcos’s father, a menacing and increasingly violent man. Inspired by his war-hero grandfather, Socrates decides to take matters into his own hands and put his bomb-making skills to use. This film debut from director Petros Charalambousis is based on Eve Makis’s novel, Land of the Golden Apple. 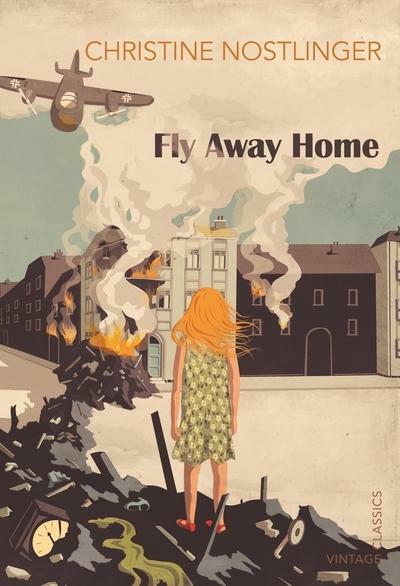 Based on Christine Nöstlinger’s much-loved, autobiographical young adult novel, Fly Away Home is a deeply humane portrait of children in war. After nine-year-old Christl’s home is destroyed in an air raid, she and her family are moved to an abandoned villa on the outskirts of Vienna. It’s the summer of 1945 and for a few blessed weeks, she finds a peace and lightness she’s never known before. But when the Nazis retreat and the Russians move in, Christl discovers that her life is far from returning to normal.